A doodler at heart, Ted often remarked—with a twinkle in his eye—that he never really learned to draw. His school notebooks often included bizarre creatures that framed sporadic notes he had taken in class. 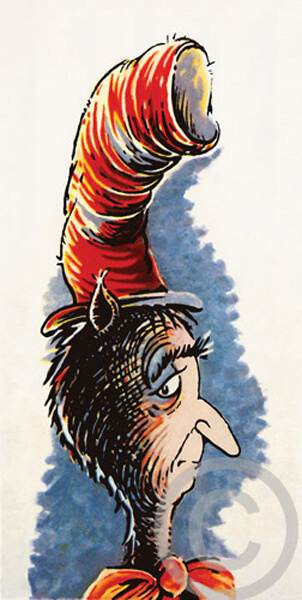 For over 60 years, Dr. Seuss’s illustrations brought a visual realization to his fantastic and imaginary worlds. 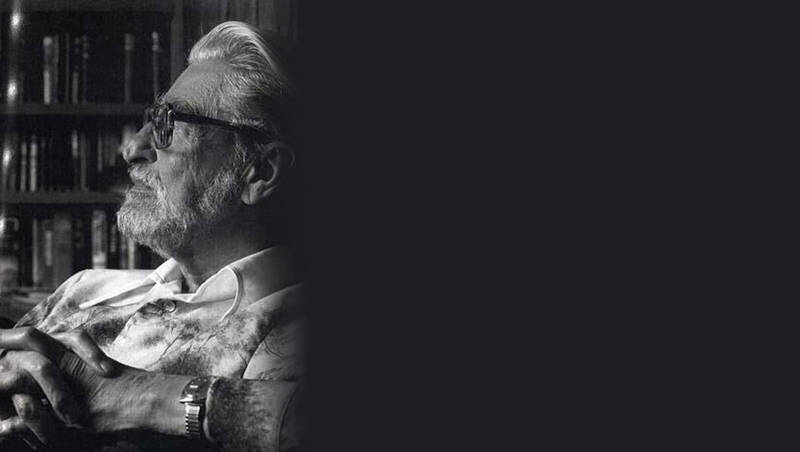 However, his artistic talent went far beyond the printed page, as in his Secret Art works – the paintings and sculptures he did at night for himself that he rarely exhibited during his lifetime. Seuss always dreamed of sharing these works with his fans and had entrusted his wife, Audrey, to carry out his wishes once he was gone. Audrey, too, believed the work deserved further recognition and that Ted himself would one day be evaluated not only as an author, but also as an artist in his own right. This historic project has opened the world’s eyes to the unique artistic talent of Dr. Seuss and, as such, galleries, museums and collectors have helped make Audrey Geisel’s promise, and Dr. Seuss’s dream, a reality. Now, nearly 20 years after Ted passed away, these artworks have toured to leading galleries and museums across the world, establishing Seuss as a significant artist of the 20th century. 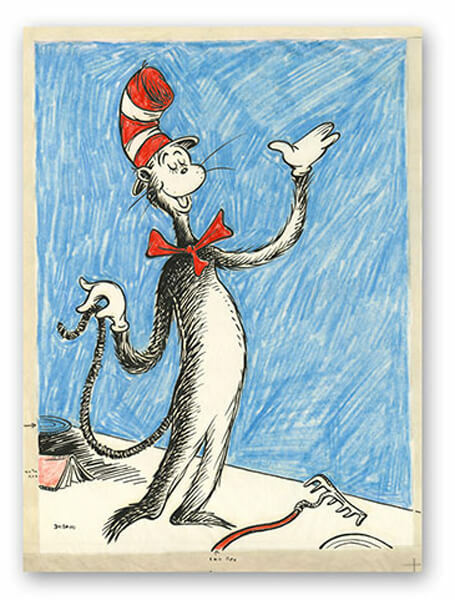 Today prints and sculptures of Dr. Seuss artworks are found at galleries along side the works of Warhol, Rembrandt, Picasso and Miró, among others. When Ted needed to clear his thoughts or relieve creative block, he often took an afternoon walk through his garden. Ted considered gardening and tending to his trees other art forms altogether, and his work in this “media” created a soft, pastoral setting. According to Ted, however, his greatest work wasn’t a particular book or lavish gardens. Ted considered his greatest contribution to be the Lion Wading Pool at Wild Animal Park in San Diego, which he donated around 1973 (Dr. Seuss from Then to Now, p. 80). His dream was realized in 1994 when Living Books began producing CD-ROMs of Dr. Seuss books, packaged with smaller book versions of the same titles. Children could follow along, matching words with pictures and recognize words as a result. In 1993, Ted’s widow Audrey founded Dr. Seuss Enterprises (DSE) to protect and monitor the use of Dr. Seuss’s characters for licensing purposes. To date, DSE has endorsed a number of projects including: a theme park, television show, films, apparel, games, apps, and much, much more! DSE continues to expand its licensing reach while protecting the integrity of the Dr. Seuss books and nurturing and safeguarding the relationship people have with the characters. Ted said he never wanted to license his characters to anyone who would “round out the edges” and that guiding philosophy continues to guide DSE today.